An airstrike launched by the Saudi-led coalition in Yemen killed at least 26 people and injured around 15 others after hitting a police building in Sanaa overnight, according to security sources. Some 30 people are believed to be trapped underneath rubble. Security forces arrived at the site of the airstrike, which was launched shortly after midnight on Sunday, using heavy equipment to search for bodies and survivors, AP reported. Officials initially announced that 20 people were killed, but later said that six additional bodies were unearthed from underneath debris. Those killed and wounded were policemen and Houthi rebels, the sources said. In addition to the reported deaths and injuries, police vehicles parked in the building's courtyard were destroyed and nearby homes suffered some damage, according to the sources. The targeted building was partially used as a gathering point for security forces and occasionally used by Houthi rebels as an assembly area for forces headed to deployment elsewhere in Yemen. The airstrike comes less than one day after six people were killed and several wounded by a suicide car bomb explosion outside the home of the director of security for the port city of Aden, witnesses and medics told Reuters. Supported by the US, the Saudi-led coalition is targeting Houthi rebels aligned with former President Ali Abdullah Saleh, who resigned in 2012 following a popular uprising against his rule. The coalition began launching airstrikes against the Houthis and their allies in March 2015, siding with the country's internationally recognized government. Since then, fighting in the country has killed nearly 6,000 people, around half of them civilians, according to UN figures. 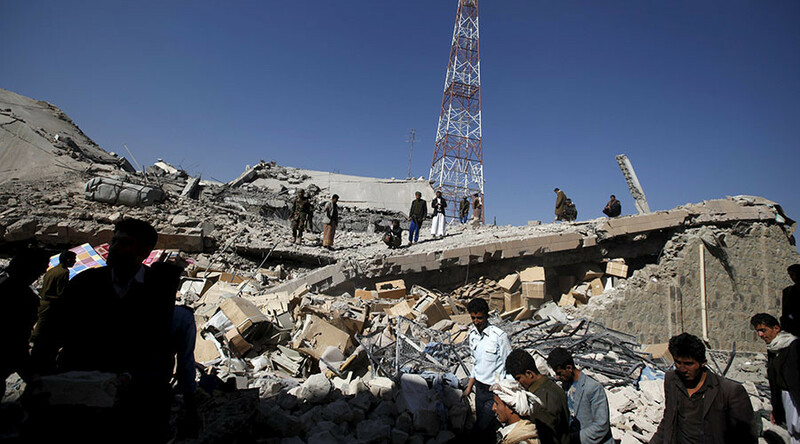 The Saudi-led coalition has been criticized numerous times for the way it conducts airstrikes. 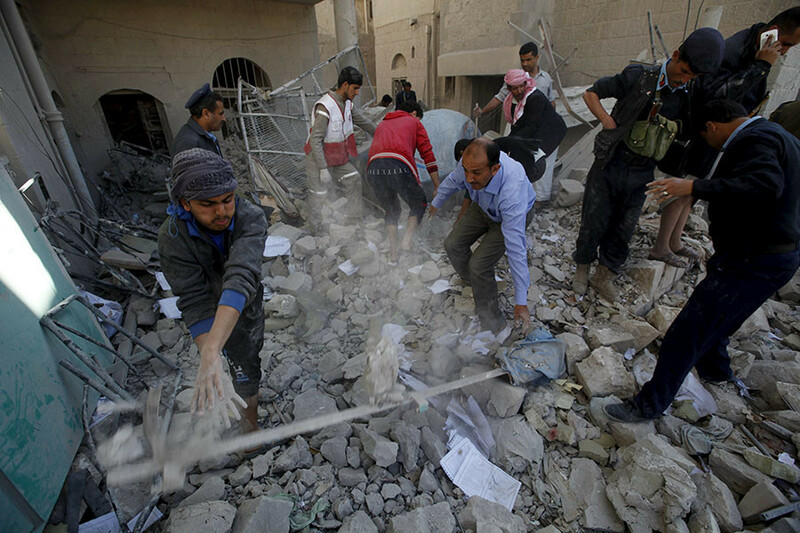 Just last week, it was accused of targeting a hospital in central Yemen. Earlier this month, it was blamed for hitting a center for the blind. Instability in Yemen began during the Arab Spring protests in 2011.The turmoil intensified in 2014, when Houthi Shia rebels supported by pro-Saleh forces rose to rebellion and seized large portions of Yemen, including the capital, Sanaa.